Layne Logue is the leader and River Guide at Quapaw Canoe Company – Vicksburg Outpost. He was born in New Orleans, Louisiana (Chalmatte) and moved to Vicksburg, Mississippi when his father got a job with the Corps of Engineers. Fishing, hunting, and playing outside was his childhood…and he still plays outside today. Layne also lived in Saudi Arabia for five years (age 9-14) when his father volunteered for an overseas tour. He is currently a Civil Engineer working with the Mississippi Dept. Of Transportation. 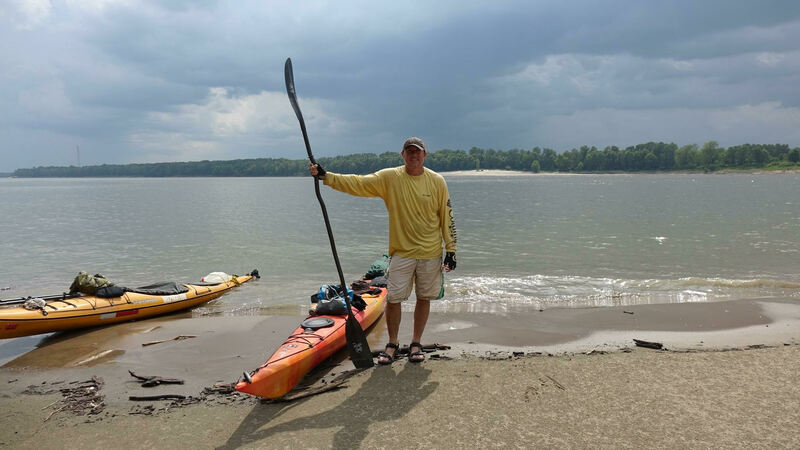 Layne has always loved the Mississippi River and once he found paddling and John Ruskey, his life was forever changed to support the Mississippi River and all life on it. Layne is also a River Angel and helps the long distance paddlers with providing them a place to stay and resupplying them. Layne is a Bluz Cruz Committee member and helps coordinate the 22 mile Canoe & Kayak Mississippi River race held in Vicksburg every April. He has an eagle eye when it comes to spotting wildlife, and uses his passion of photography to document and share the beauty of the River. Layne’s goal is working towards a healthy thriving Mississippi River and providing transportation for people to see the magic that occurs on it. The Mississippi River flows through his heart.